Two separate events of interest in the Tablets domain happened this week. 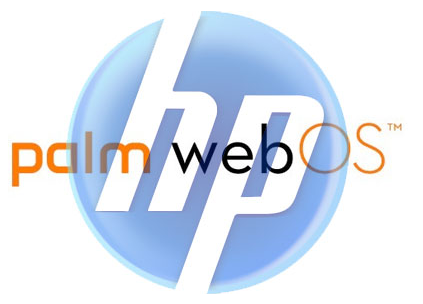 After HP’s decision to shelve its Touchpad-WebOS tablets and subsequent stock clearance led to online stampede of buyers queueing up for purchasing the deep-discount $99 Touchpad, HP has now announced that it will have one more round of production for Touchpad. Priced at $99 for 16GB version and $149 for the 32GB version, HP says it will have one more run at Tablets to satisfy unfulfilled demand. Now was it the demand for HP Toucpad which till 2 weeks back was dead stock sitting on retail inventories or is it the price point? In two days, we now hear about the mythical Amazon Tablet a 7″ Tablet to be called Kindle at $250 in retail. That has upped the ante for the Amazon Kindle Tablet. There are sketchy details of the Amazon tablet, but what is known is that Amazon will integrate it with all the content available on Amazon — from apps to books to movies — and will deeply integrated it with Amazon services. The music player is expected to be Amazon’s Cloud Player, the book reader is a Kindle app and the movie player is the company’s Instant Video player. Amazon’s own app store will be featured on the tablet, and Google’s Android Market is reportedly nowhere in sight. Based on the initial reports of the services and the device and the price, Forrester research has already speculated 3mln to 5mln before year end. That is a big number given that Android in its first year of sales has been able to do a number significantly lower than that. The noteworthy thing about both these announcements were the price factor. While HP was distress selling, Amazon’s price is largely based on penetration principle. With its array of online products and services, the $250 price from Amazon for its Kindle Tab would signal the beginning of a price-led category strategy across OEMs. 1. Over the last 2 years, iPad has been the most decisive factor in Tablets inspite of the Android launches. 2. However, the Amazon push to Android may be the big impetus that Android required to establish itself. 6. The WP tablets with its enterprise legacy would be an interesting thing to watch out for. If Microsoft opts for Operator tie-ups with subsidies in place, that would mean a very quick penetration strategy in the markets and especially in enterprise segments. With 4G trials complete and roll-outs in Horizon, Tablets are the devices of future. Aggressive penetration pricing will be key in mainstream adoption of tablets across various segments of users and usage.